I’ve been looking forward to writing this post for a while, sharing my most recent branding project with you! This one is for Analy, another lovely, talented photographer based in the Pacific Northwest. Step one was the usual branding questionnaire, where Analy got to tell me all about her business, the passion and story behind it, and why she does what she does. She told me that the majority of her shoots with her couples were outdoors, usually somewhere near the mountains or a forest. She also loves to shoot near lakes or waterfalls, and loves the colour of the water. Her ideal client is always up for an adventure and loves exploring during their shoot. My favourite phrase from Analy’s answers was when she described her ideal clients as “wild & fearlessly in love”, and that became a key theme of the project. Next up I got to work on some concepts for Analy’s logo. We went through quite a few different options, and in the end decided that as well as mountains & forests, the logo should feature hands, representing the connection between the couples in Analy’s photography, as well as her pouring her heart and soul in to what she does. Analy chose the design with a pair of hands holding the mountains which really enforced the “pouring her heart and soul” theme. But we kept in the other hand drawings as additional graphics for her brand, along with the mountains and a few trees for a forest pattern. Lastly, I created a design for Analy’s business cards, keeping her primary logo as the main focus, with some simple, elegant text on the back with all her essential details. I had so much fun with this project! 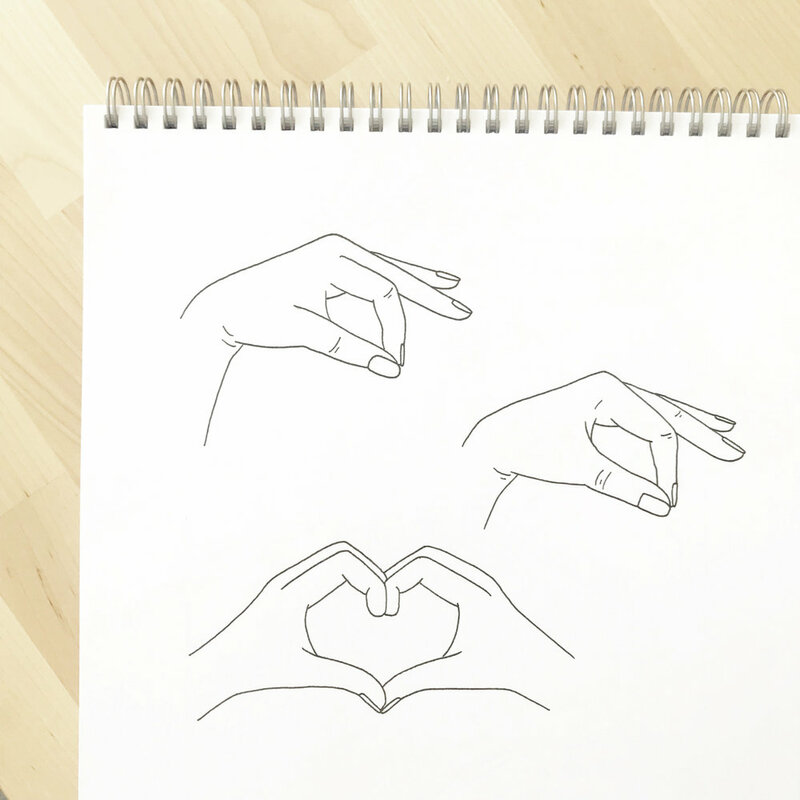 Hands have often been something I’ve avoided as they can be a tricky one to draw, but after this project, they’ve become one of my new favourite things and I can definitely see them appearing in some future illustrations. "Where do i even begin, Emma is amazing at what she does! Super talented and she paid attention to everything i want in my design but also make sure that it would look cohesive with my work and website. I really appreciate how many different designs she made for me to choose from. Not only was she super patient with me, she also is very attentive and is willing to help when i need her. I highly recommend Emma! Thanks so much for working with me Analy!